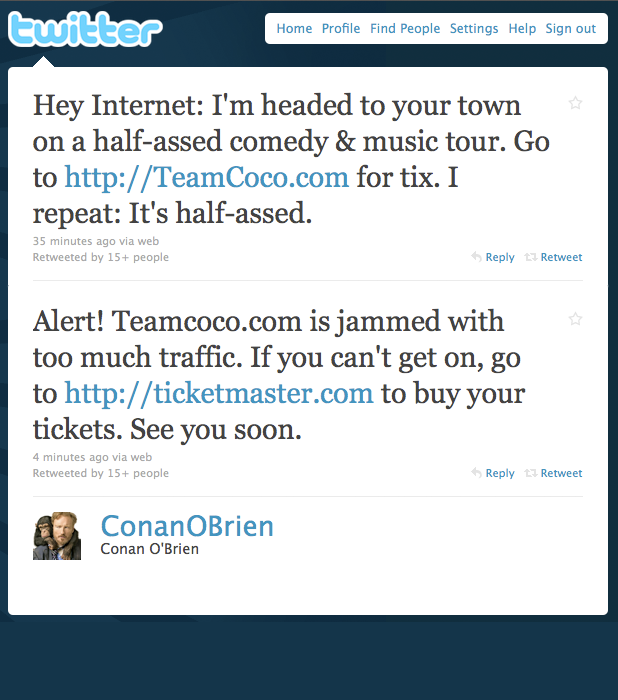 The Conan O’Brien Live Tour is Official!! Conan O’Brien just tweeted confirming his upcoming US/Canadian tour! As you can see, his site is being bogged down by a traffic spike, which will most likely continue throughout the day as word gets out, but click the image below and you will be taken to the ticketmaster page which will show you all the dates and allow you to purchase tickets right now!